Great Image Meet My Nanay - Hello! Welcome to my blog! I think that Mother's Day is not just in May but everyday. We all have a story to share about our Nanay. Our confindant, our best friend, our caretaker, sometimes our enemy but one remains the same. They will always be our Nanay. Now, Great Image has an ongoing promo where you can have a photo of you and your mom for only 20 pesos. You can upload that photo and you can win as much as P 10,000! Here's how you can join. 1. Register through in this link:www.greatimage.com.ph/meetmynanay and Great Image will send you an email through your registered email address. 2. Print a copy of the email and visit Great Image studio. Have a complete portrait session and 3R photo with the soft copy for only 20 pesos! 3. 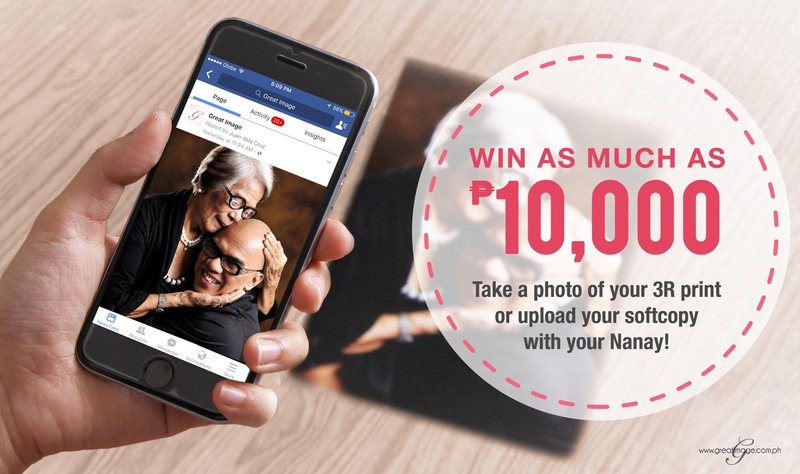 With your phone, take a picture of your 3R photo print or upload your soft copy at our Facebook page and share your nanay’s story. Watch Boy Abunda as he talks about his moments with his mom.